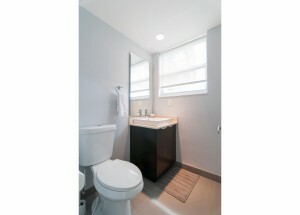 Aparment with two bedrooms and a bathroom on the 4th floor. 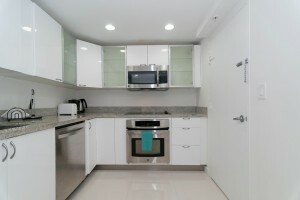 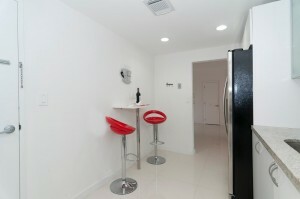 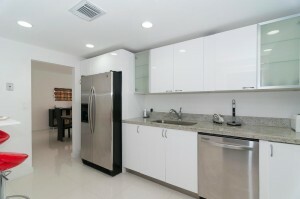 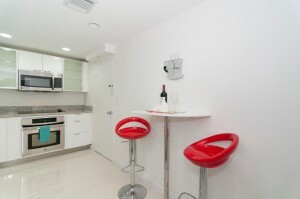 The independent kitchen of this aparment, is furnished with white color cupboards and the stainless steel appliances contrast with the red stools located in infront of a table in the breakfast area in the kitchen. 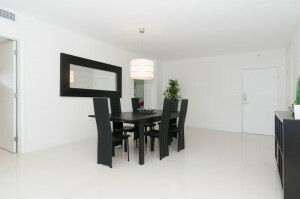 The dining room integrated to the living room has a table and black chairs for 6/p, contrasting with the light colors of the apartment. 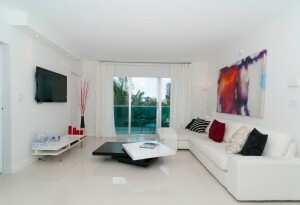 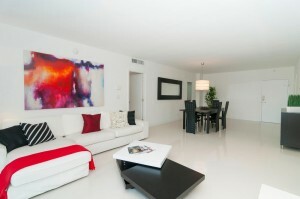 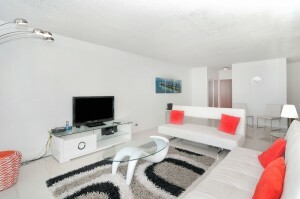 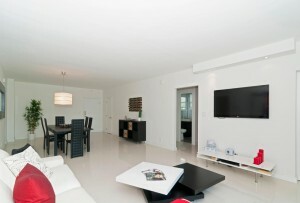 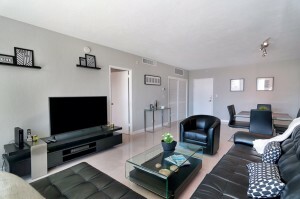 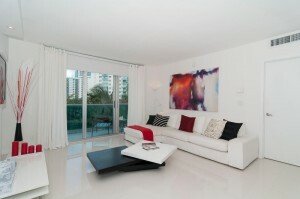 The living room centers between an L shaped sofa and the main tv of the apartment, a modern low black and white table. 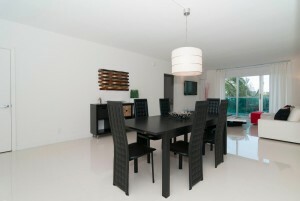 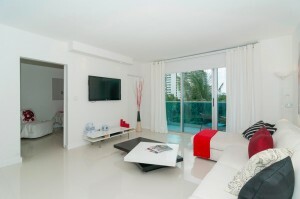 Ending at the balcony where you can enjoy a lovely view of Miami and a small portion of the sea. 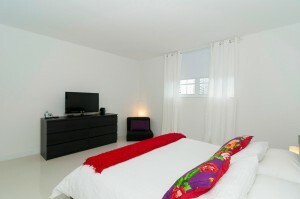 This apartment offers two bedrooms, the main bedroom witha king size bed and the other with two twin size beds. 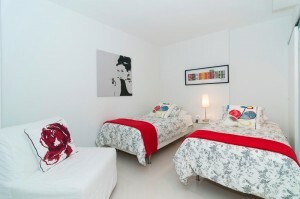 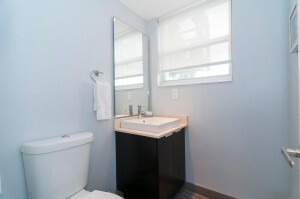 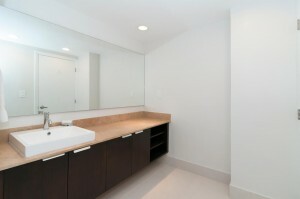 For the comfort of its guests the apartment provides a large abthroom with a shower and toilette. 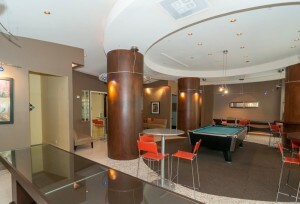 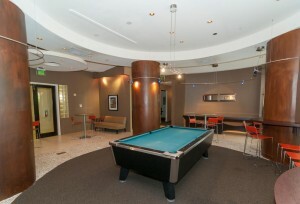 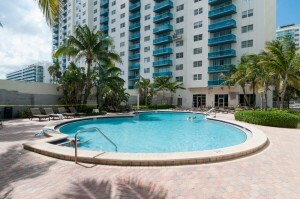 The building also has a pool, gym, game area, and laundry on each floor. 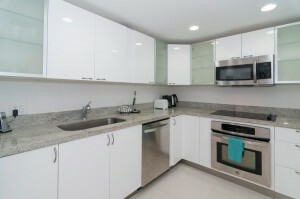 The laundry machines work with cards giving with the apartment at the moment of check-in, they are charged by the guest with they own using needs. 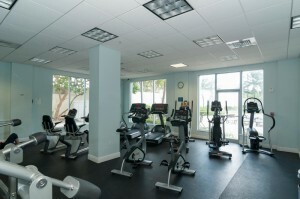 The parking is outsourced, must be payed at the moment of check-in for the complete stay.